Fishkeeping is fun. I have had lots of fish over the years, most notably in recent times Siegfried and Roy my two fancy goldfish. Roy died unexpectedly on the bottom of the tank one day. I think he just gave up. Siegfried lived a quiet life from then on but decided to pop off the same way three months later. The upset is still fresh 12 years later. 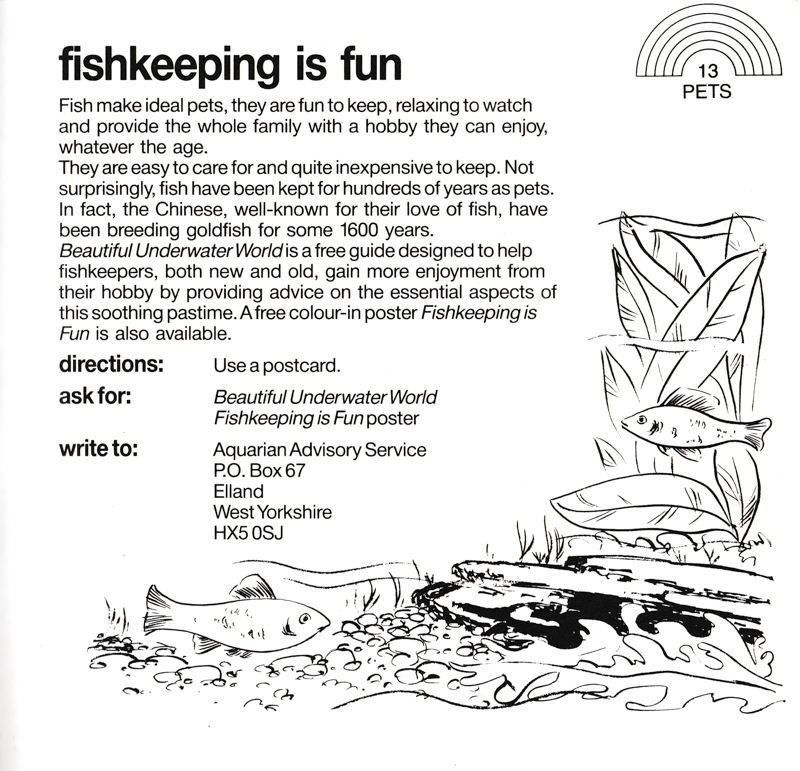 I have a choice here of asking for a guide called beautiful underwater World and a colour in poster. I have decided on the guide as it will give me more information about this ‘soothing’ pastime. I have written a letter and enclosed a postcard and with more checks of correctness the address is again different. Instead of it being in Leeds it is in the birthplace of everybody's favourite pork pie, Melton Mowbray. I would like a packet of pork pies more but I mustn't grumble.